Insects; some people hate them, other people love them. I belong to the last group, and I think you, as a visitor of this website, also. For me insects are fascinating and beautiful animals. They come in so many shapes, colors and sizes that it is almost hard to believe sometimes. It can be really fun to go out into nature and watch or photograph insects. No matter in which country you are, you can always find a gorgeous bug. But it can also be a lot of fun to keep insects in your home as pets, especially if you do not live in a tropical region and therefore cannot find many big and amazing bugs around in winter time. 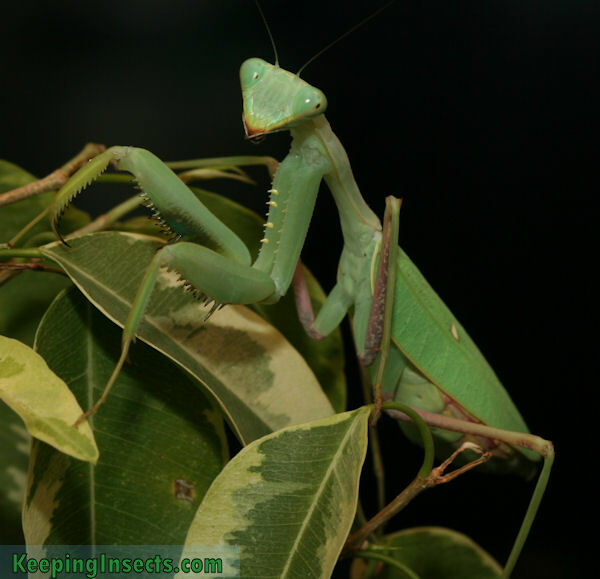 This website describes many insect species that are being kept as pets. Here you can read all about how to take care of them to keep them as a pet yourself! This website is made by an insect enthusiast from the Netherlands. I was a biology student at the University of Groningen and got my masters in 2011. I have kept insects as pets for many years, and in the course of that time I have made lots of pictures of them. Also I have learned a lot about keeping them. To share my knowledge and show my pictures I have made this website. I have maintained a similar website in Dutch, called Ongewoon Ongewerveld (Unusual Invertebrate) that is still online now. It is very popular, but because it is in Dutch relatively few people can read it. I hope to reach a bigger public with this English website! I also made a Spanish version at www.cuidandobichos.com.